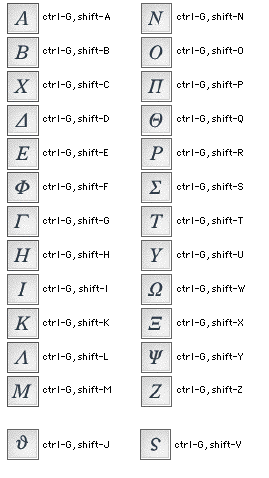 Alt-click Selects to the clicked position from the beginning of the box. If clicked on a variable symbol, like a fence, integral or sum symbol, accent, radical frame, fraction bar, or so, it selects the whole symbol, and allows user to apply Nudge, Color, Style, or Size. space bar Enter the predefined space width, defined in Preferences -> Shape tab. Default value is the space char. 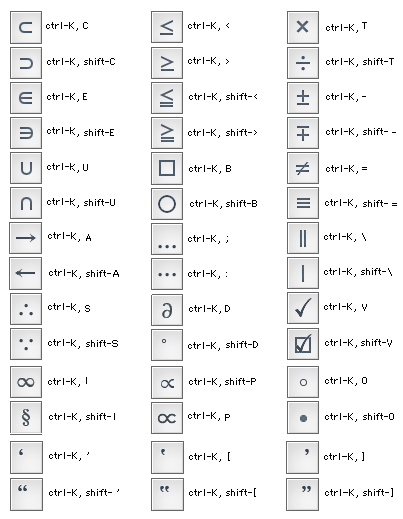 shift-space bar Enter the predefined shift-space width, defined in Preferences -> Shape tab. Default value is the Full EM space width. ctrl-K, 0 Enther the 0pt space. ctrl-K, 1 Enther the 1pt space. ctrl-K, 2 Enther the 2pt space. ctrl-K, 3 Enther the 3pt space. ctrl-K, 4 Enther the 5pt space. 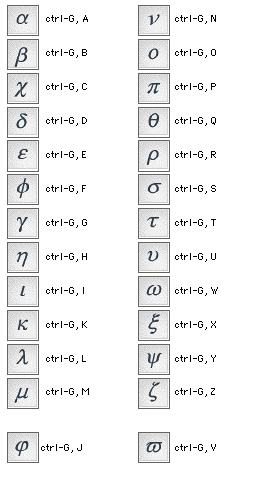 ctrl-K, 5 Enther the 0.5pt space. ctrl-K, 6 Enther the 1/3 EM space. 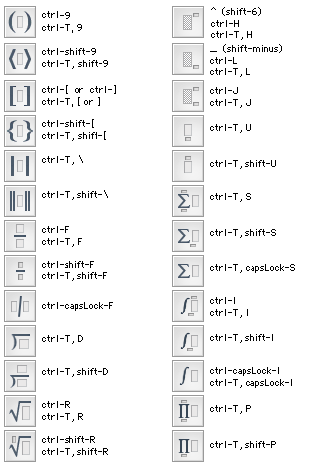 ctrl-K, 7 Enther the 1/2 EM space. ctrl-K, 8 Enther the EM space. 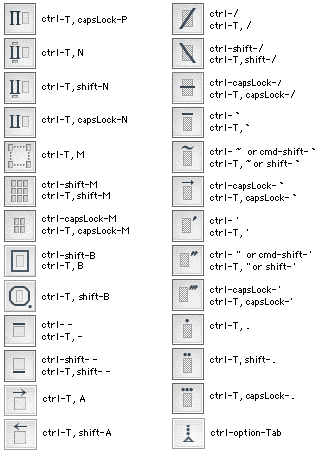 ctrl-K, 9 Enther the Full-size space(defined in the Prefernces->Size tab).